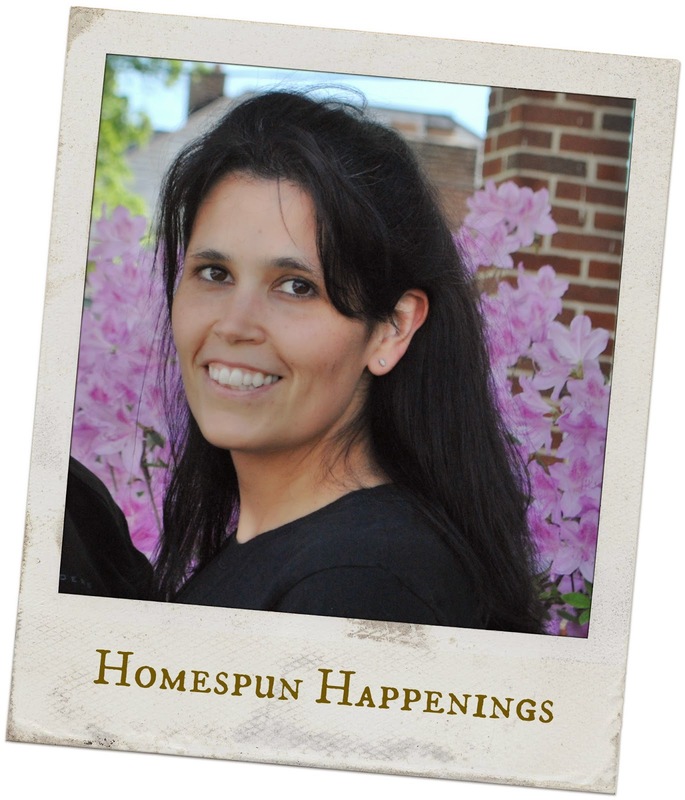 I am the Lady behind Homespun Happenings. I have been blessed to be able to homeschool all four of my children. My hubby and I have been married for 22 years. As a Christian, my ultimate goal in life is to be the wife and mother that the Lord wants me to be. Homespun Happenings is a little mix of what the Lord is doing in my family, some chattering on about what is in my heart, and a lot of my crafty creations. I would say that my blog has turned into more of a crafting blog since I started it back in September of 2010. I enjoy creating primitive, cottage, farmhouse, and homespun looking crafts of all kind in my spare time. Hence the name of my blog. I love finding "trash" and turning it into something useful. I find great inspiration from all of you crafty ladies out there.